Kimberlie Faith Hutson Pearson entered the world with laughter and joy on September 22, 1973 and was welcomed by her parents Julia Edgar Land and Timothy Norman Hutson at Baptist Hospital in Jackson Mississippi. In her 45 years on this earth she attended Bearss Academy, graduated Canton Academy, and obtained a bachelor’s degree in Psychology at Belhaven College. In September 1996 she married Todd Arron Pearson and in October 2003 gave birth to the most beautiful baby girl, Hannah Rebecca, whom she loved with all her heart and soul. Kimberlie was a beloved wife and mother. In addition to leaving behind Todd and Hannah, she leaves behind her mother, Julia Edgar Land (husband, Ron), her brother, Julius Edgar Hutson (wife, Tami), Brother Evan Hutson, and sister Nancy Hutson. She is predeceased by her father, Timothy Norman Hutson; her maternal grandparents Julius and Rebecca Edgar; and her great grandparents Clifton and Marjorie Hardy. 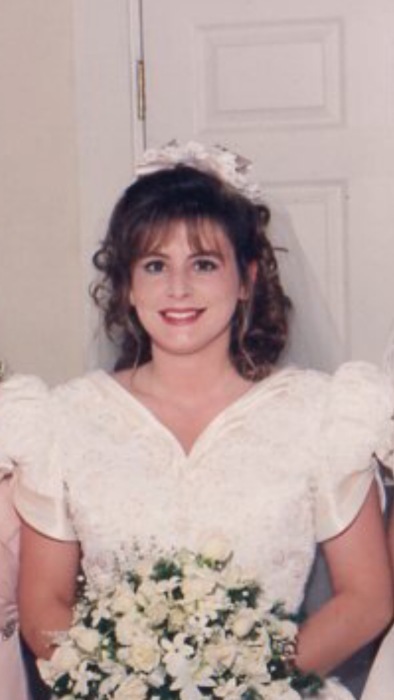 Kimberlie was called home by her Lord and Savior on March 28, 2019, and while Heaven rejoices, the world left behind is a little darker, a little less kind, a little less happy. Services will be held at Breeland Funeral Home with visitation at 12:00 P.M. – 2:00 P.M. with funeral service to follow.